This entire outfit was hand picked by Jim Young, Sales Manager, from our new summer collections. 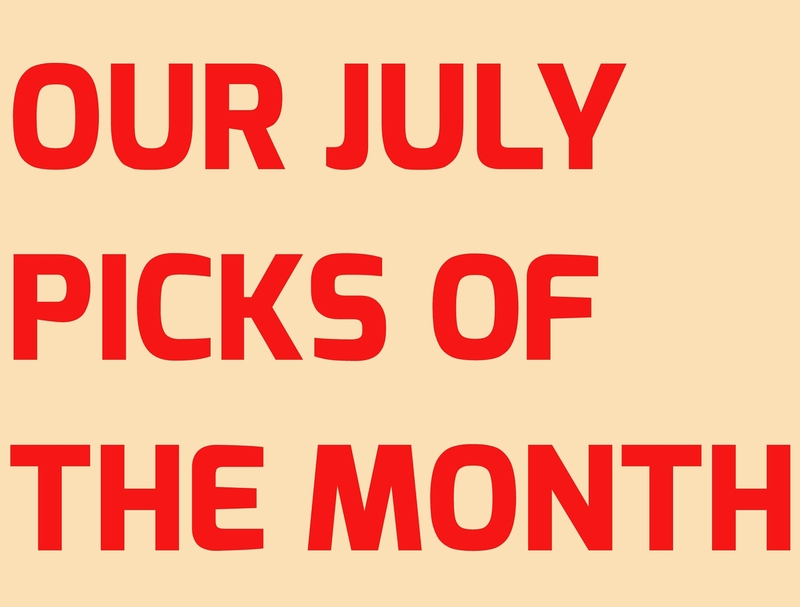 Our July picks are lightweight and stylish. 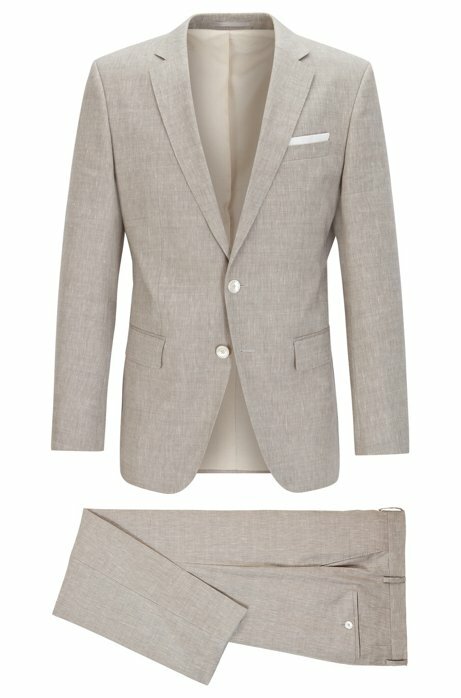 This luxurious outfit features linen (socks included!) for natural breathability. 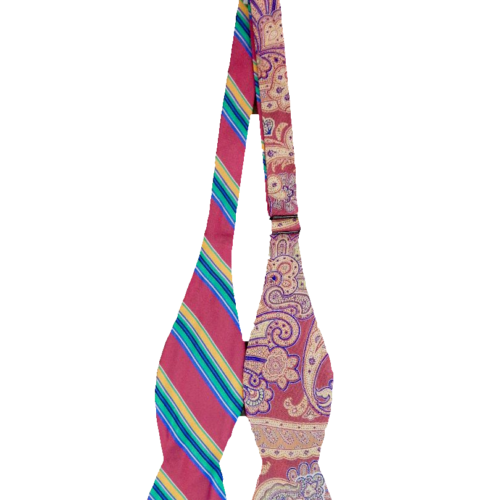 A modern trim fit suit and shirt paired with an explosion of color is set off with our inventive 4-in-1 bowtie. Tie it all together with a matching walnut colored belt & shoe! Lightweight linen means cool comfort and style! This is a luxurious linen which features the feel of quality and natural breathability. This tan colored suit has a slim fit silhouette with notched lapels and pressed creases which highlight a timeless design. Mother-of-pearl buttons and a white pocket square elevate this sharp look. With great micro details, such as the buttons, button placket and yoke, Andrew-J shirts have a pure simplicity to them, and are tailored to fit any wardrobe with ease. With a company that's based out of Washington State, Andrew-J is the easy choice for fashionable functional style. 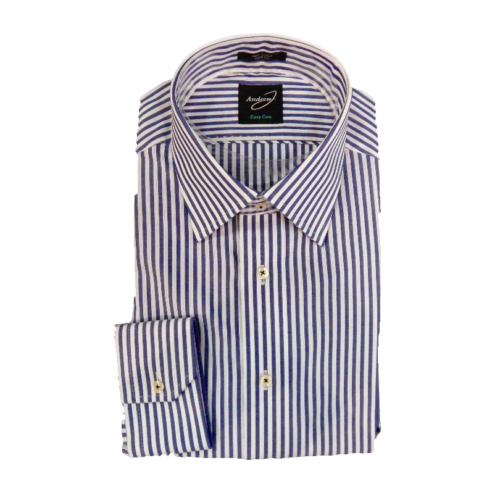 With its Easy Care design, Andrew-J creates a shirt perfect for the man who likes to get up and go. A popular style, the Cornwallis is a versatile shoe that is perfect for the man who takes his shoes seriously, but with a little fun! This plain toe-balmoral, available in walnut (pictured) brown and black, has intricate brogueing, pinking and medallion. 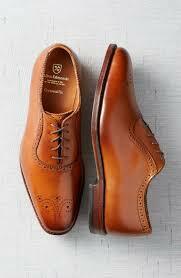 This sleek, American made handcrafted oxford made with top quality leather has a chiseled toe and beveled arches. Other sizes available by special order. 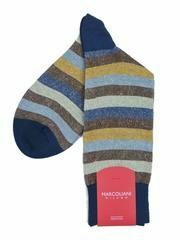 For workweek and weekend alike, the Manistee is versatile enough to go with your best suit or favorite jeans. 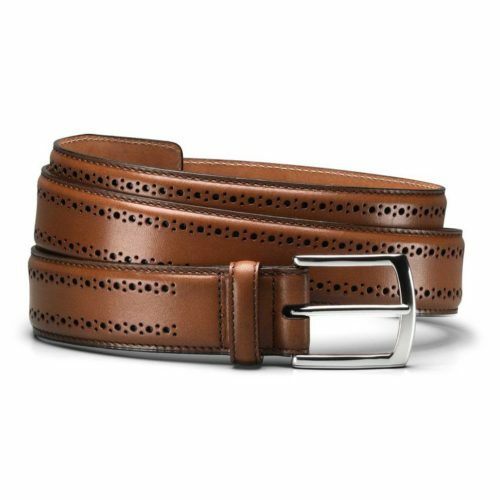 With intricate perfing details down the sides, this belt, available in walnut (pictured), brown & black, is designed to perfectly complement Allen Edmonds brogue shoes. For a stylish belt that is sure to turn some heads, the Manistee is a notch above. Handcrafted in the USA.